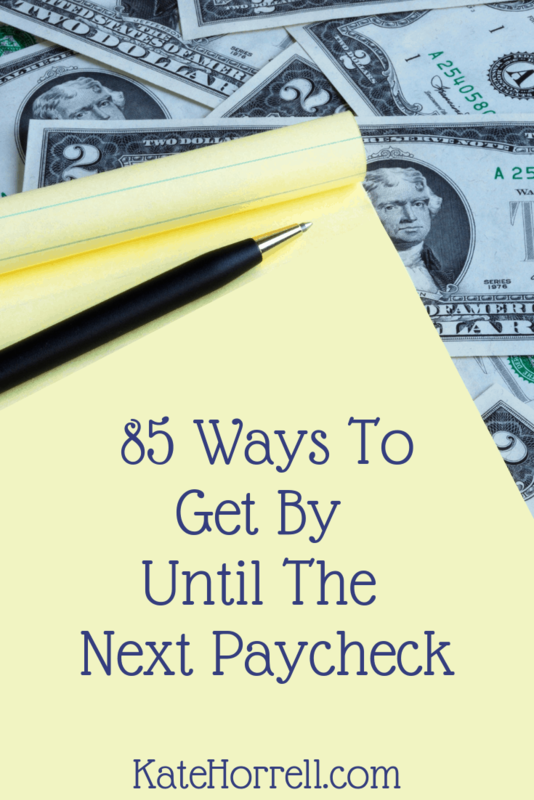 Because months aren’t always 28 days long, and because military paydays don’t happen on weekends or holidays, there are times where there is a long stretch between military paychecks. Sometimes, it can be as long as 20 days! If you’re living paycheck-to-paycheck, or you budget pretty tightly, that can create some challenges to making sure you have enough food and gas to get you to that next check. Thankfully, there are a lot of different ways you can create a little extra wiggle in those long pay periods. Depending on your situation, bring in another $50 or $100 with a side-hustle or one-time job. Stuck on ideas? Check out my 59 Ways To Make 50 Dollars. There’s something there for nearly everyone, and many of these options provide cash in your pocket ASAP. It may not be fun, but you can do anything for a short period of time. If you’re already doing all these things, you may need to get a little outside assistance. This year (2019) doesn’t have many long pay periods, but there are a few. Planning ahead now can make those times a lot easier!